If you are a visual or auditory learner, then taking online elimination communication classes may be the perfect alternative to reading a book about EC. Plus, some things are just easier to understand through watching a video demonstration than through reading text. For example, don't you think it would be more helpful to watch someone demonstrate the classic EC hold than for me to explain in text how to hold your baby over a toilet? Plus, as parents, we are busy! Even if we would like to, we don't always have time to read a book. We are curious to learn about various parenting methods, but we are so busy caring for our babies and chasing our toddlers that we don't always have time. Online classes to the rescue! We can learn just about anything from online courses these days. My husband has been taking online classes on tech subjects for years, but now even my mom takes Craftsy classes to inspire her many sewing projects. EC isn't just for hippies (like I first thought). 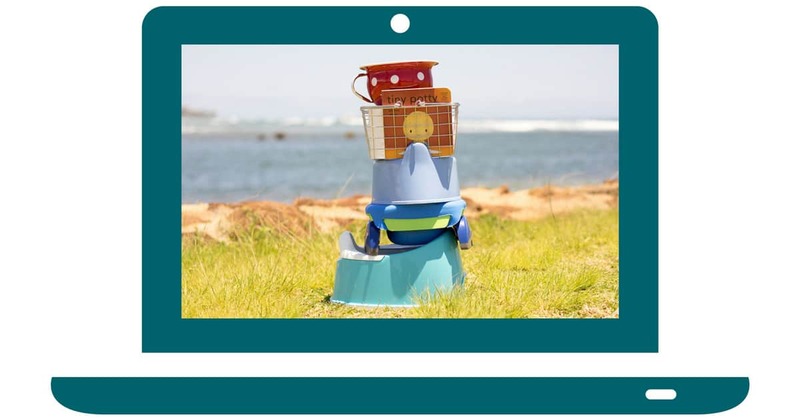 It's also for us high-tech mamas! Sure, if we still had a village helping to raise our children we could step outside and ask our neighbor our burning questions about elimination communication. Or we could ask our mothers what they did to get through potty pauses. But chances are, you are one of the lucky few if you have a local elimination communication support group. It's far more likely that you've found your EC tribe in an online Facebook group. So when you are ready to hone your EC knowledge, it makes sense to do so with an online class. Slip into a comfortable pair of yoga pants, snuggle up on your couch, and start learning how to rock EC! Disclosure: This post contains affiliate links. If you click on an affiliate link and make a purchase, I will earn a small commission, at no extra cost to you. Thanks for your support! These classes were provided to me free of charge to facilitate this article. I love the format of the Go Diaper Free MiniCourses. The videos are broken down by topic, making it easy to refer back to a particular section. The course keeps track of which sections you have completed, so you don't have to worry about losing your place. If you prefer not to watch the videos, you can also listen to the audio or read the written transcript. My favorite aspect of the Go Diaper Free online classes are the bonus videos that show EC in action! Kristen also offers online prenatal and childbirth classes. 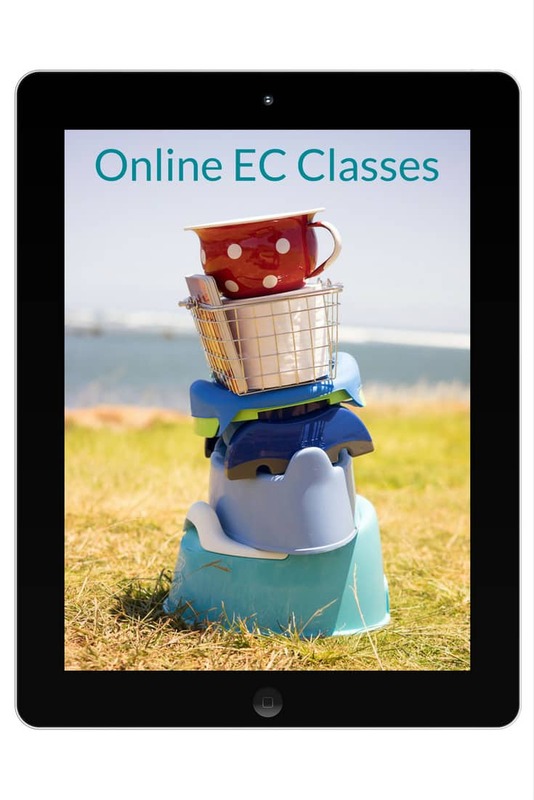 Kristen's online elimination communication class provides a thorough introduction to EC including: benefits; various ways to start; when Baby needs to go; and how to offer pottytunities. The class addresses three stages: in-arms baby, mobile baby, and walker. Kristen answers many frequently asked questions about elimination communication. For those of you in the UK, the online classes taught by Born Ready Jenn may be more your style. Jenn has an upbeat personality and teaches baby-led potty training in British terms. 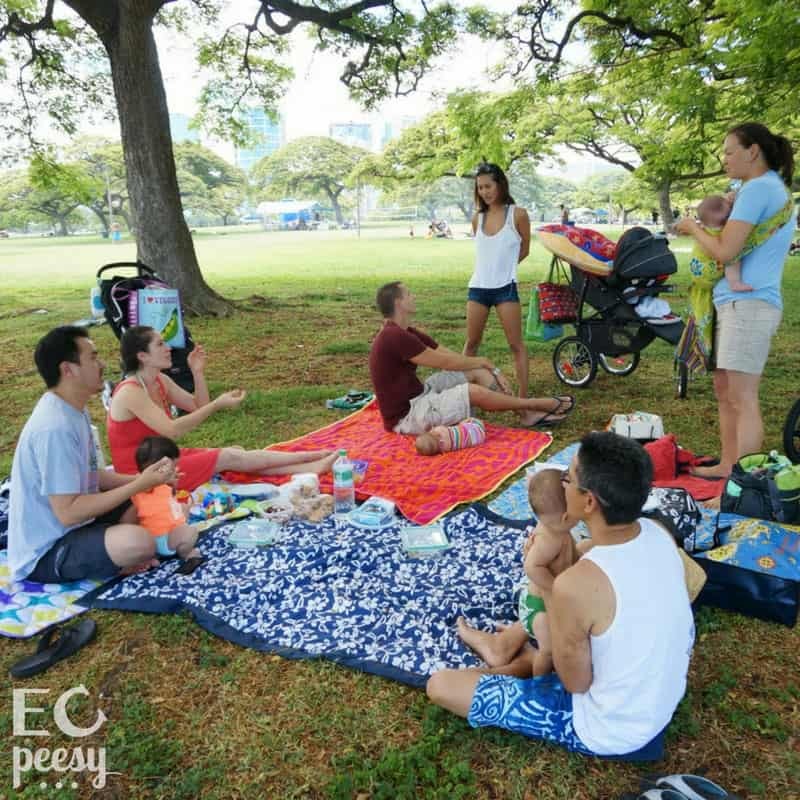 The "Baby Meets Potty MiniCourse" will give you the confidence to try EC with your newborn baby (0-3M). This course includes helpful tips on starting from birth. The bonus videos allow you to actually see what it looks like to do EC with a newborn. I don't personally follow Babywise or potty my baby in the sink, but you can choose which suggestions work for you! 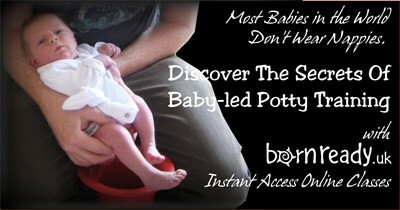 If you don't know when to offer the potty, check out "Potty Time Master". If you have slacked off and put EC on the back burner, "Getting EC Back on Track" will provide motivation and a plan to get back to EC'ing. If your child is refusing to use the potty, check out the "Potty Pause Resolution MiniCourse". For toddlers, this course can be paired with the "Wrapping up EC MiniCourse" since a potty pause is often a sign that your toddler is ready to complete EC and master potty independence. The "EC While Out and About MiniCourse" contains many helpful suggestions. The bonus videos show how to offer pottytunities in public bathrooms and outdoors. I hope these online classes provide just what you need to successfully start, continue, or wrap up your elimination communication journey! If you have already taken one of the classes, please share your thoughts in the comments. What is your favorite way to learn about elimination communication? Do you like taking online classes?